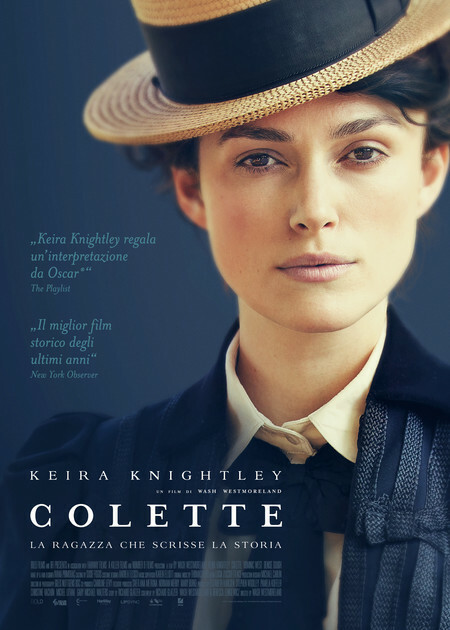 Trama: After marrying a successful Parisian writer known commonly as "Willy" (Dominic West), Sidonie-Gabrielle Colette (Keira Knightley) is transplanted from her childhood home in rural France to the intellectual and artistic splendor of Paris. Soon after, Willy convinces Colette to ghostwrite for him. She pens a semi-autobiographical novel about a witty and brazen country girl named Claudine, sparking a bestseller and a cultural sensation. After its success, Colette and Willy become the talk of Paris and their adventures inspire additional Claudine novels. Colette's fight over creative ownership and gender roles drives her to overcome societal constraints, revolutionizing literature, fashion and sexual expression.